Product information "Ultraframe Ultralite 500 Roof-in-a-Box"
Complete Ultralite 500 uPVC "Roof-in-a-Box" for low-pitch, lean-to conservatory roofs. Comes with 10 year warranty and 25 year life expectancy. 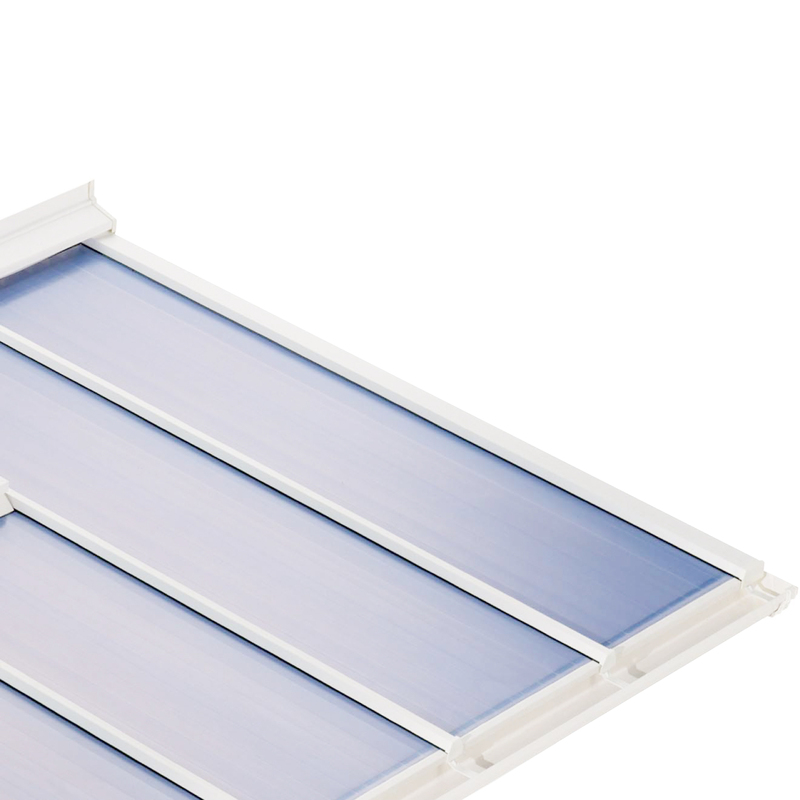 Ultralite 500 is a PVC roof system for lean-to conservatories, pergolas, carports and more. Designed specifically by industry leader Ultraframe as a free-spanning, low pitch roof, Ultralite 500 is ideal for situations where restricted height means that a low pitch is essential, such as attachement to a bungalow. Supplied with Panels, Intermediate Bars, Wall Channel and associated Cappings and Fixings*, this really is a "Roof-in-a-Box" solution. 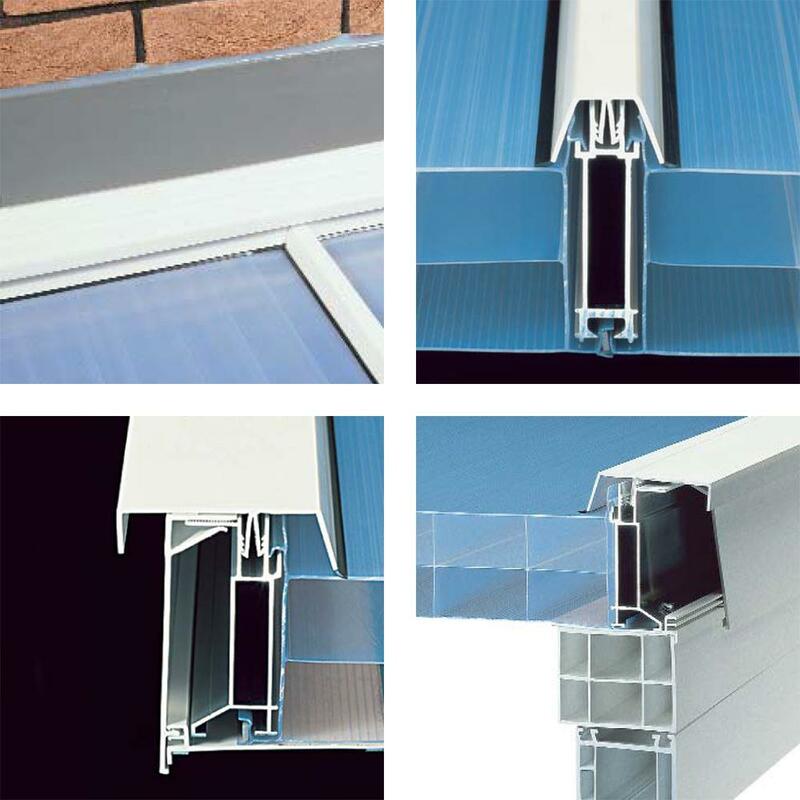 What is more, it can be supplied with a complete gutter system and side PVC-u Firrings (2.5° pitch only) for quicker installation. 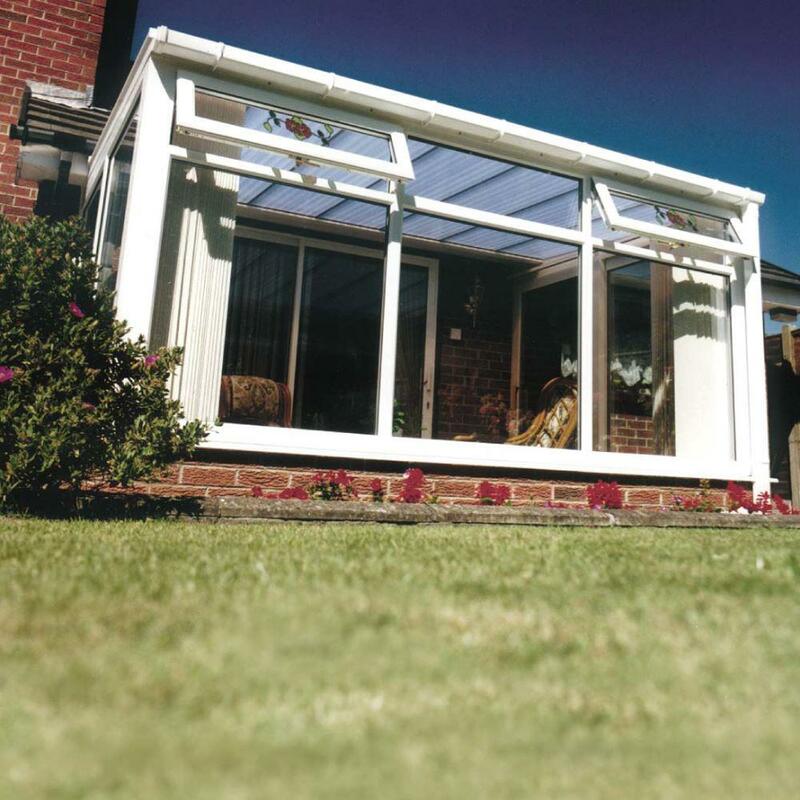 The opaque PVC glazing panels provide great insulation and light diffusion to help maintain a comfortable environment within the conservatory in summer and in winter. Interlocking with aluminium reinforcement bars the roof panels can span 4m without additional support, so it's great for large commercial properties as well as homes. * Refers to width of roof pack, not external frame width (see Choosing the Right Size). The Ultralite 500 is designed as a complete roof system and is manufactured to offer a product that can be fitted quickly and easily. To help with this, each Roof-in-a-Box is supplied with a comprehensive Installation Guide, which steps through the process from preparation right through to completion. Whenever possible, the structure should be designed to use panels in full widths and standard lengths, as this can leads to cost and labour savings. The following tables show standard pack lengths and widths and the external frames sizes that they are built for. 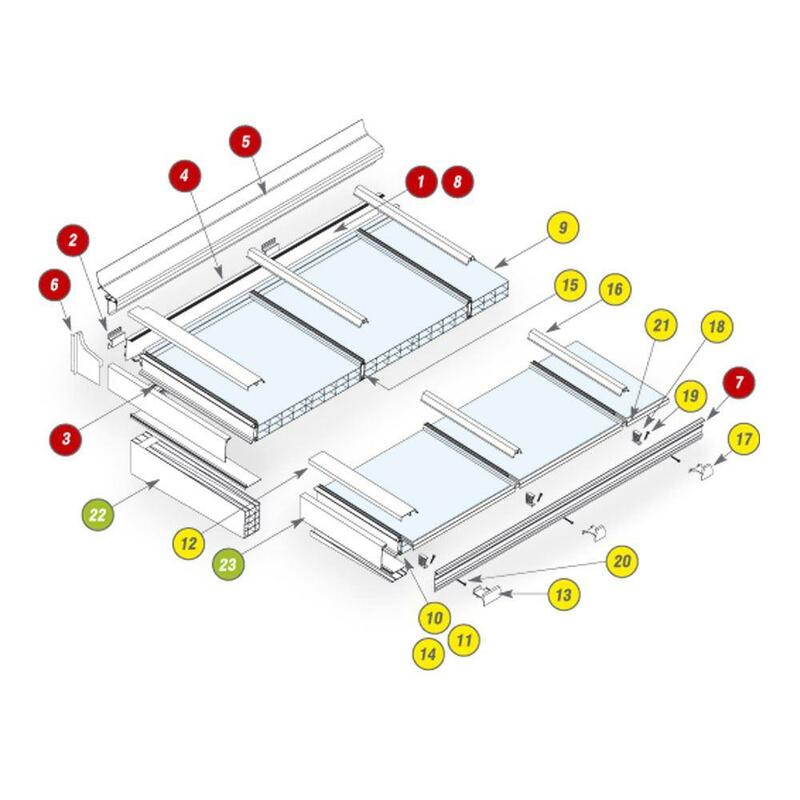 To reduce labour time and minimse cost, make the most of the modular sizes by designing new-build projects to the external frame sizes shown here. Panel length and width can be cut to fit to an existing, non-modular frame size. If necessary, the length should be cut at the opposite end to the Pre-Cut Drip. Related links to "Ultraframe Ultralite 500 Roof-in-a-Box"
Our review on "Ultraframe Ultralite 500 Roof-in-a-Box"
Customer review for "Ultraframe Ultralite 500 Roof-in-a-Box"